Saturday will be the day of the GME, for the last time and the weather looks good. Our goods are packed and ready. Early saturday morning, we will be going on our way to be ready on time. We have the GME Travel with us, for people who might have missed the coin. The tag remembers the largest event of the Netherlands. Like last year, for all GME visitors we have small surprise, this time in the Dutch colors: red-whire-blue . This week also some new coins and a funny new Signal goodie. A funny geocoin in the shape of a Pizza. The slice of pizza is the matching pin. "Nothing beats Pizza, Beer & geocoins"
The taste of Europe, with all the Swiss, Dutch and French cheeses. This coin was made in soft enamel with flat epoxy. This week no new specialty Geocoins, but there are still a few available. Next to that, we have the last batch Aera 51 Coins. These will be offered at the GME at our booth. If there are still left after the GME, they will be made available via our website. These special coins, you can find here. On the GME, this exclusive travel tag will be available at our booth. A part of the sales will be to the Scouting Erica. If there are left, they will be made available via our websitel. This funny Signal the Frog is made of a flexible rubber kind of material. 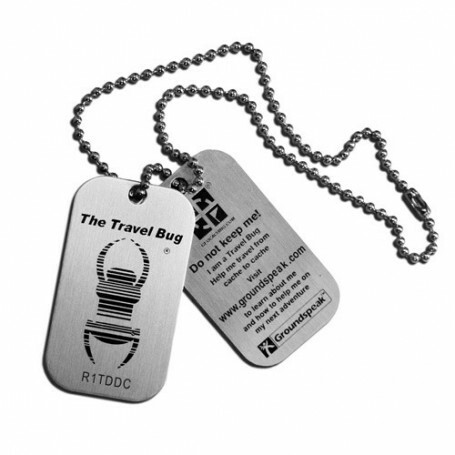 This funny, colorful item can be attached to your Geocaching bag. Also a good item to be used as a trading Goodie in a cache. You know how it goes. you are arriving at the cache location and somewhere in a far corner or underneath a ledge, there must be a small container or next clue. With this extendable mirror, you can reach those places. The mirror can be turned 360 degrees. The stick can be extended till 50 cm. Required by Geocoin collectors. te see all details. also handy for special Cache assignments. We have 2 models: a foldable model with a lens of 25 mm and a pull-out model with a LED.